A Place for Family Fun! Cashmere offers a variety of family activities...from swimming, hiking, enjoying a family picnic in one of our many wonderful parks. Many of the parks have facilities for family games, plenty of open space and playgound equipment. Enjoy taking in a tour of Aplets & Cotlets or visit our great Cashmere Museum and Pioneer Village. Kids love this place.! Railroad Park is a .25 acre parcel located next to the Burlington Northern Santa Fe railroad tracks across from Liberty Orchards Aplets & Cotlets factory at the corner of Mission and Aplets Way. Cashmere's Federated Women's Club founded the park and provides ongoing landscaping assistance. The club also provided three (3) picnic tables. This is a small .68 acre mini park located on River Street. The old City Hall was located on this site until it was torn down in the late 1990s. The site features mature trees and picnic tables. Cottage Avenue Park is a small .76 acre neighborhood park located on Cottage Avenue between Parkhill Street and Vine Street. In 1919 Mr. E.C. Long donated to the Town of Cashmere three quarters of an acre from his orchard for the purpose of forming a park. During the 1920's and 1930's the park had a small bandstand where a "Town Band" performed weekly concerts. 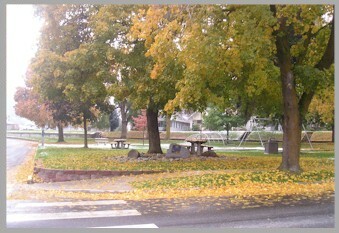 The park helps to establish an aesthetic quality for Cottage Avenue and is an important area in the Tree City Program. The park features children's play equipment and picnic tables. Simpson Park is a 4.82 acre park that is located on Pioneer Avenue between Chapel Street and Tigner Road. In his last will and testament Mr. O.G. France, left to the "Citizens of Cashmere" property to be used for public recreation. To clarify the bequest, the Superior Court ruled in 1947 that the Town of Cashmere would be vested with the title to the property "in trust" for the purposes of providing recreation. This 7.32 acre park was opened in 1987 and is the centerpiece of Cashmere's park system. Constructed on an old landfill, it is a popular destination for rafters and hosts a number of special events ranging from the annual Wenatchee River Festival to sled dog pulls and soccer events. 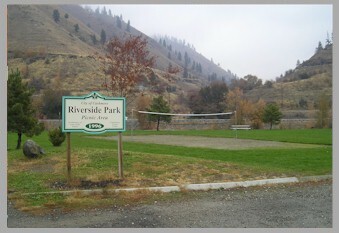 It features a multi-use soccer and softball field, open space, play equipment, sand volleyball court, picnic area, parking, Riverside Trail access and ramp access to the Wenatchee River for rafters. Cashmere Pump Track At Riverside Park In Cashmere, Washington USA The new bike pump track is about 85 feet long by 60 feet wide and contains 120 cubic yards of dirt. 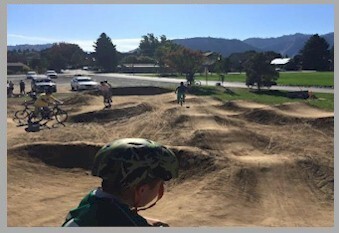 The pump track replaces a sand volley ball court which wasn't being used. From slow-cooking our candies in small batches to lovingly packing each tasty morsel by hand, our time-tested method leads to confectionary perfection! 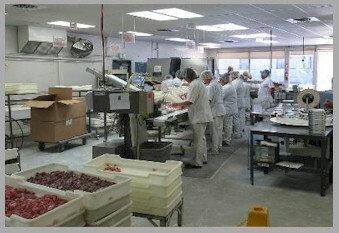 The video below will give you a behind-the-scenes glimpse into how we make our famous candies. If you'd like to see for yourself, you can visit our factory in downtown Cashmere, Washington! 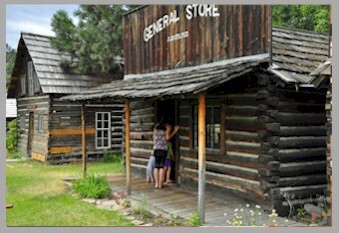 Families love to revel in the extensive collections of the Cashmere Museum and Pioneer Village. Artifacts from the Wenatchee Indians include hunting and fishing artifacts, a sweat lodge, native food and medicine items, an exhibit about the Hudson Bay Company and a Meso-American collection. Some artifacts date back 9,000 years. Displays from local pioneer history include tools, mining, veterinary equipment, memorabilia, and dioramas depicting the lifestyles of the early settlers, including a trapper's cabin. "Old Mission," the Pioneer Village, consists of 20 original structures brought in from the local area.